Security forces arrived in Kabul on Wednesday at the Afghan Ministry of Interior. 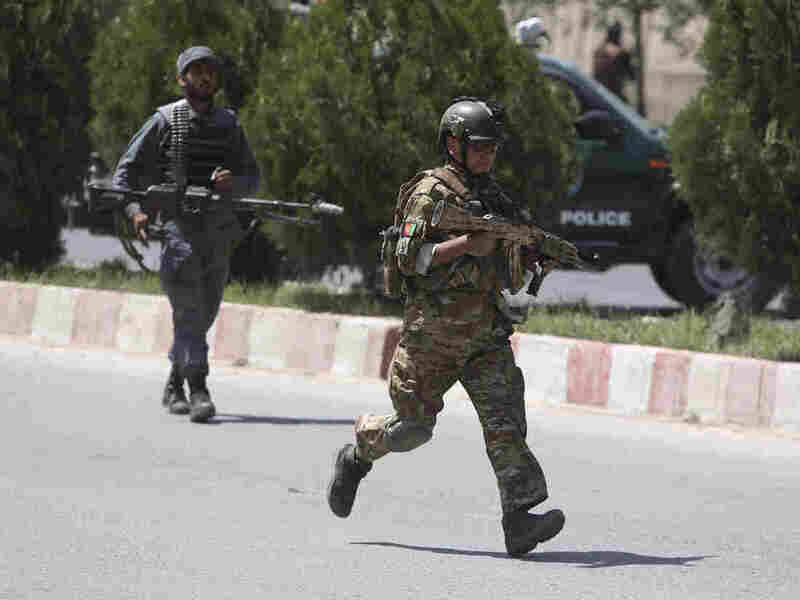 An apparent car bomb and gunfire between militants and security forces near the Home Office in Kabul are the recent attacks in the Afghan capital in recent weeks. There was no immediate claim to responsibility for the attack, but earlier attacks – often following the same pattern of bombing followed by a firefight – were claimed differently by the Islamic State or the Taliban. There were also numerous attacks on government buildings and police checks. "The provincial towns were also hit when the Taliban, who wanted to revive hard-core Islamic rule, had fought all over the country since announcing the start of their annual spring offensive in April . The recent violence coincided with a report by the US government that has seen little progress in Afghanistan this year, with struggles and hundreds of casualties from militant attacks. "